When I travel these days, I tend to look like a walking Radio Shack – cords bursting out of my pockets, bag overflowing with chargers and accessories. Partly, this is my own fault – as a tech writer, I carry around more gadgets than I strictly need. But most of the blame goes to the batteries in my iPhone and iPad, which run out so quickly that I’m forced to carry around not one, but two external battery packs to get me through a normal day of use. These days, the gadgets we carry are improving with frightening speed – each year bringing a cavalcade of new features, capabilities, and improved hardware. But the power sources that run those gadgets seem to be stuck in about 2007. We know that the world is going device-crazy, with mobile internet use expected to surpass PC use by next year, and a whole new category of wearable devices (led by smart watches) on the way. So why are batteries still so terrible? 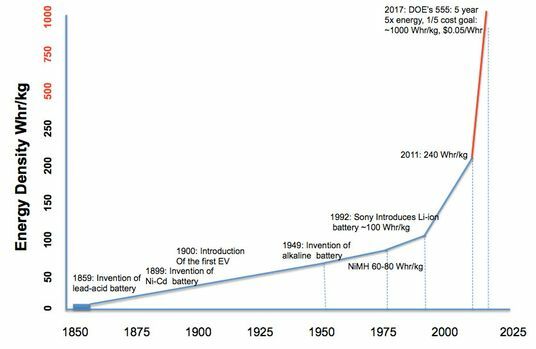 The answer seems to be one of relative rather than absolute performance: That is, batteries are getting better, but we don’t notice the changes because our gadgets are demanding more power than ever. 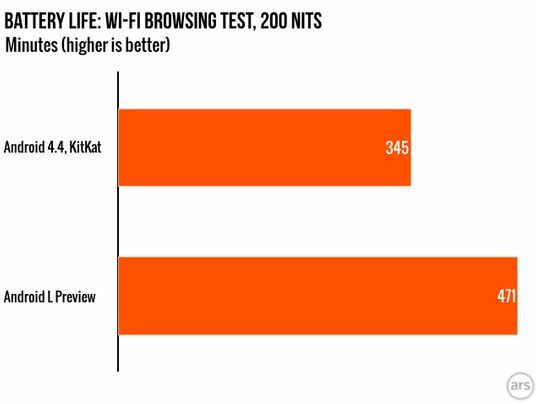 Surveys have shown that people covet longer battery life more than any other smartphone feature. So where’s the solution? 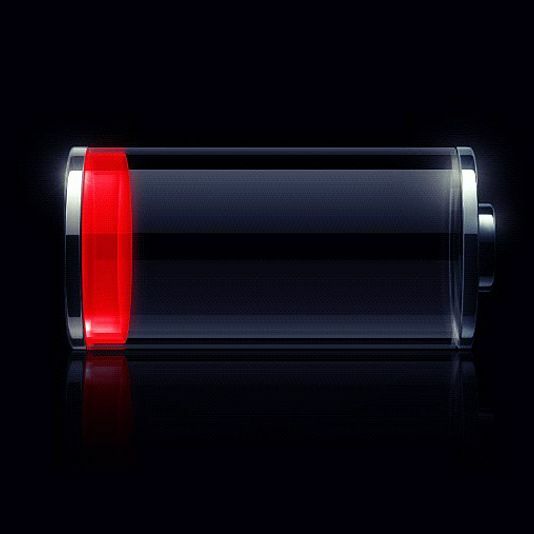 There are two basic approaches to improving battery life on mobile devices. The first is to use the batteries we already have more efficiently, by reducing the amount of power needed to run apps, make calls, and stay connected to data networks. The second is to change the type of battery altogether. Google is trying the first kind of solution. Android L, its new mobile operating system, includes a battery conservation feature known as “Project Volta.” Among the company’s most disturbing findings was that waking up your smartphone for one second causes two minutes’ worth of battery loss, due to the number of tasks it carries out automatically each time the screen is activated. Project Volta alleviates this drain with a “JobScheduler” function that allows apps to perform background tasks only when the device is plugged in. Project Volta also includes several features that allow app developers and users to figure out which tasks are using the most battery power, and the operating system itself is set up for maximum energy efficiency. Overall, Ars Technica found that Project Volta increased the average Android phone’s battery life by 36 percent. The second approach to battery improvement is to switch the type of battery altogether. Researchers are working on this, too, under the assumption that only substantial technical advances will truly give us the all-day (or even multi-day or multi-week) battery life we yearn for, while keeping our devices as slim as we want them. One of the more promising new battery technologies is graphene, a strong, thin, conductive material that is formed by bonding together a single layer of carbon atoms. Last year, when researchers at Vanderbilt covered a silicon super-capacitor in graphene, they found that it was possible to make a kind of super-battery that would recharge in seconds, and last for weeks before needing to be plugged in. These super-capacitors aren’t ready to be put into iPhones yet – engineers are still trying to make them smaller and denser – but they’re out there on the horizon. Another, more immediately feasible option is a new kind of lithium-ion battery, developed by USC researchers and expected to hit the market in 2015 or 2016, that uses silicon nanotubes instead of the graphite found in traditional batteries. The result is a battery that has three times as much capacity as a normal lithium-ion, and charges in just ten minutes. One Silicon Valley start-up, Amprius, has raised $30 million to mass-produce a similar kind of battery for testing by companies like Nokia. Other researchers are placing hopes in cheap fuel cells powered by methanol or hydrogen, which could be swapped in to your smartphone when the old one runs out, or on all-graphene batteries that absorb thermal energy from the earth and never need to be charged at all. Whichever new, futuristic battery makes it to market first, it seems certain that help is on the way. More likely than not, Google’s Project Volta and similar software-based projects will simply be stopgap measures until the hardware revolution arrives in a year or two, once battery makers have had time to get their products tested, manufactured, and approved by regulators and safety inspectors. The iPhone 6 probably won’t have a vastly longer battery life than the iPhone 5S, but the iPhone 7 and 8 almost certainly will. (As physicist Fred Schlachter puts it, “Significant improvement in battery capacity can only be made by changing to a different chemistry.“) And cheaper, better batteries may help more than just smartphones – as a 2012 McKinsey publication pointed out, next-generation technology is coming to car batteries, too, with the price of automotive battery kits expected to fall by more than 50 percent by the year 2020. Until better batteries arrive, my best bet is probably to switch to an Android device and carry around an external battery pack or two. (Apple’s latest OS has a power-monitoring feature, but, sadly, no Project Volta–like efficiency mode.) 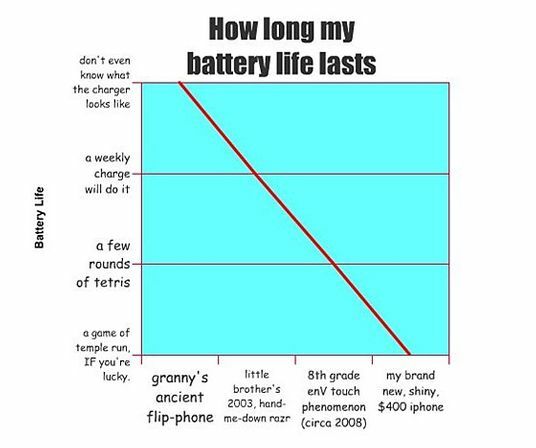 But frankly, I wish the battery designers would hurry up with their futuristic breakthroughs. I’m sick of needing to stuff my pockets with batteries before leaving the house, or else risk losing my digital lifeline halfway through lunch. In today’s mediocre battery world, with not-so-great power come great responsibilities.